With summer upon us, we are looking for a little extra splash for our special events. 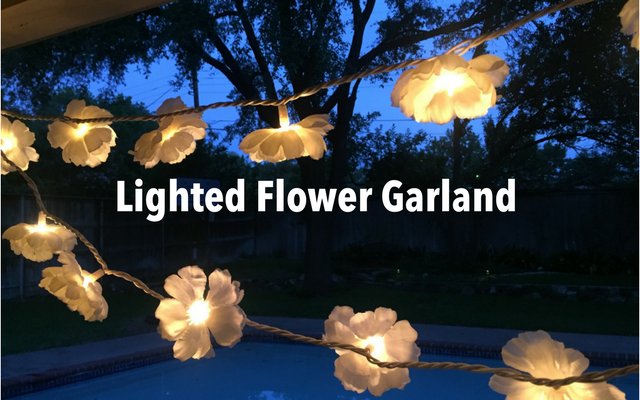 This lighted flower garland is a perfect fit for both indoor and outdoor occasions. It’s an easy do-it-yourself project that is also inexpensive to make — our favorite kind of project. 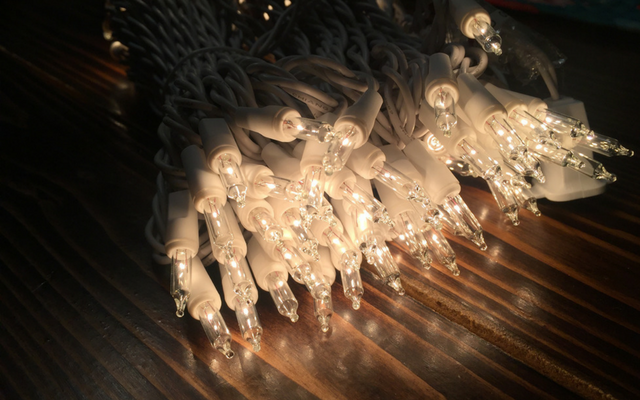 lights – clear incandescent mini lights. We used 6-inch spacing for this project, but you could do any choice of spacing you prefer. Find your lights here. 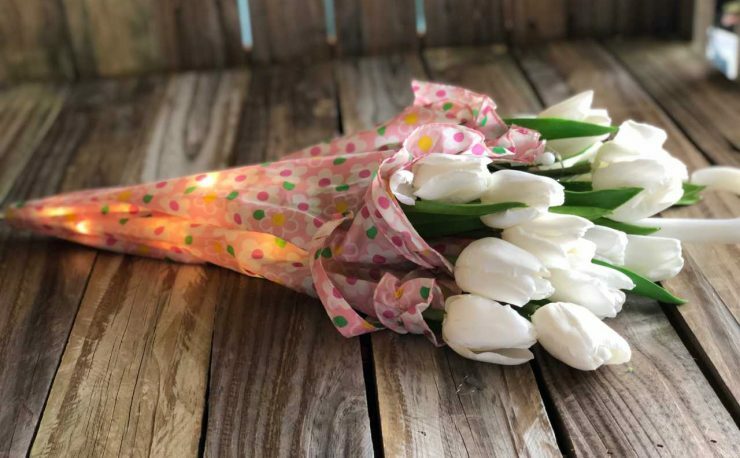 In a few easy steps, these artificial flowers will be glowing beautifully and swaying in the breeze at your next party. Gently pop off the flower from the plastic stem. 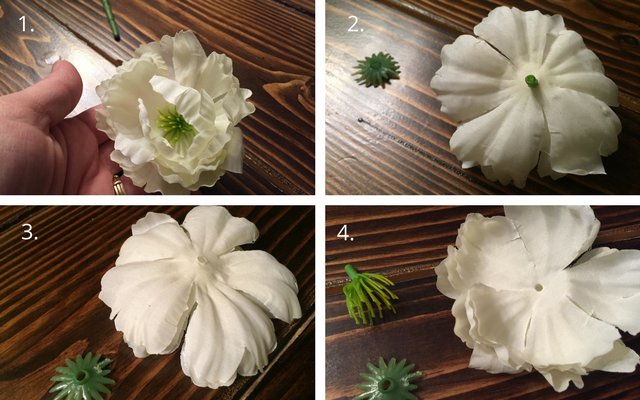 Remove the plastic piece from the back of the flower. 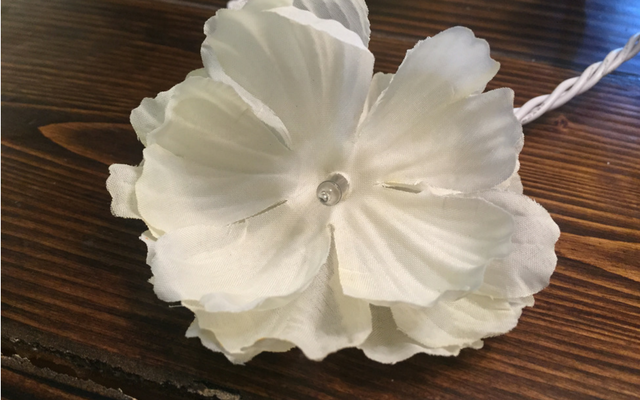 Remove the plastic piece from the front of the flower. This usually falls off when the back piece is removed. You are left with 3 separate pieces of flower. 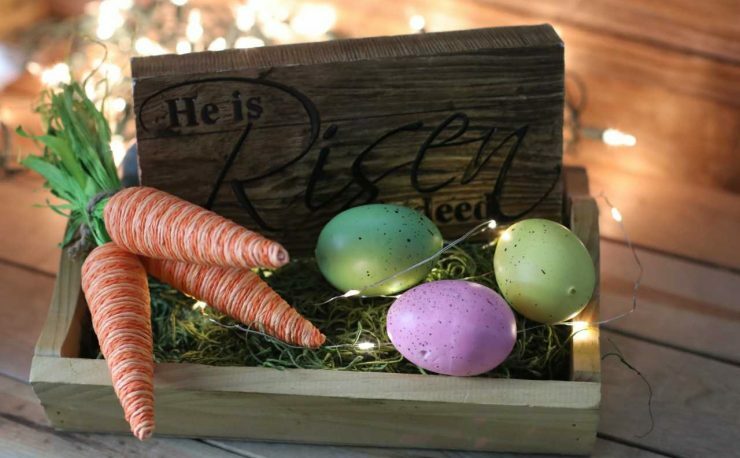 This may be different for each variety of flower you purchase. Some have just one. Two to three layers are ideal for this project. 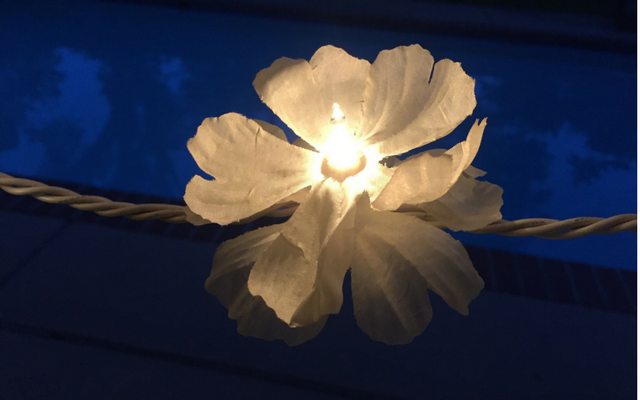 Simply slide each layer of flower onto the bulb of the light string. These layers will usually stay on by themselves with no additional adhesives needed. 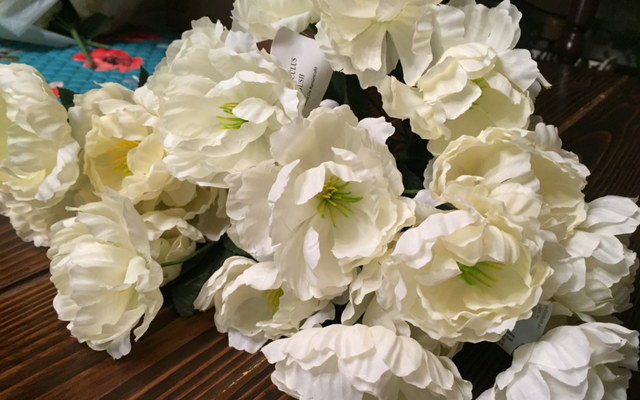 If your flowers tend to slip or fall off, you may use a small dot of glue or tape between the layers. We think this is just lovely for an evening party, a wedding reception or relaxing by the pool. 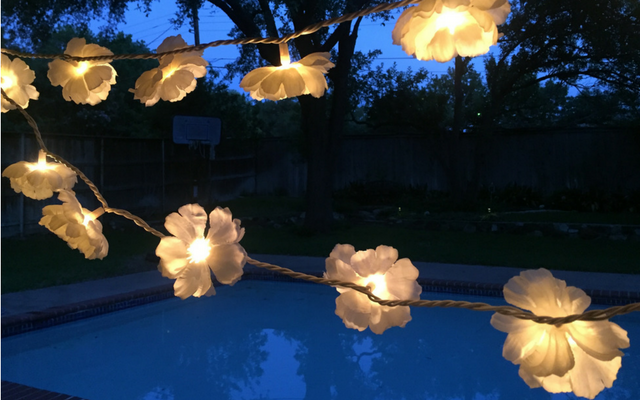 The possibilities are endless – multiple colors of lights, varied colors of flowers, all types of light spacing. 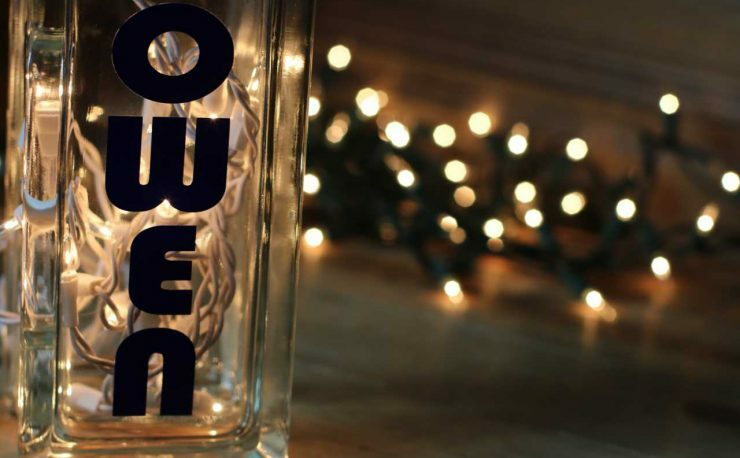 Comment and let us know how you are tailoring this project for your next event! And watch this blog soon for how we constructed a different flower garland for our summer luau. 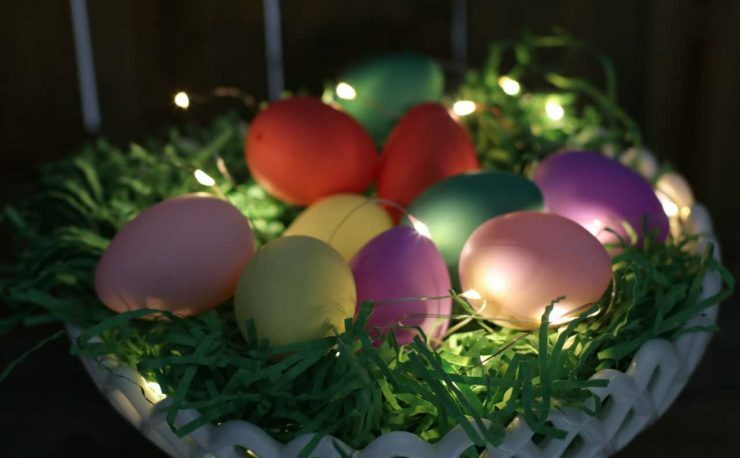 Pingback: Ways to light up a Birthday Party! 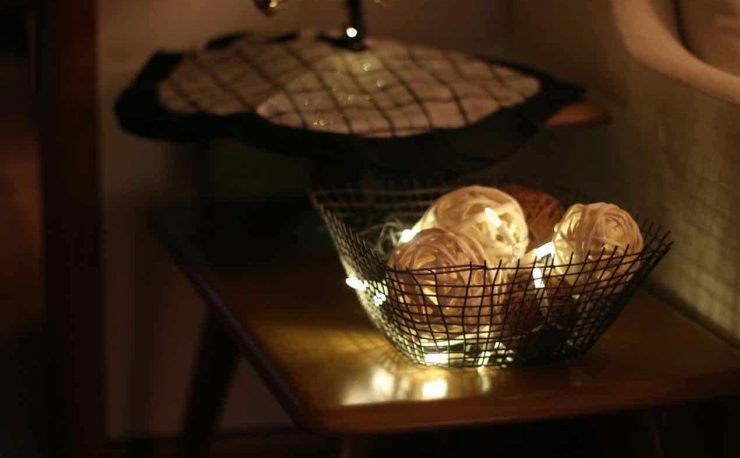 Pingback: Decorating a birthday party with string lights!